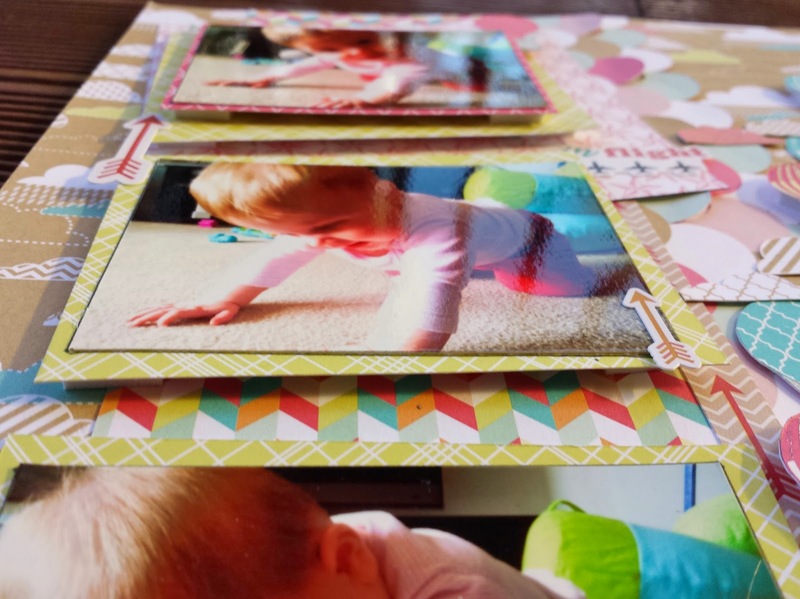 The theme of the page is about taking flight as the pictures are of Chloe learning to crawl, the first time I saw her on all fours. She rocked back and forth for a bit then fell and got cranky. It wasn't much longer until she was racing around. I have used exclusively the Echo Park Everyday Eclectic and did LOTS of fussy cutting! It took me a long time to be happy with the balloon arrangement. I fiddled and changed and moved them around for days!! 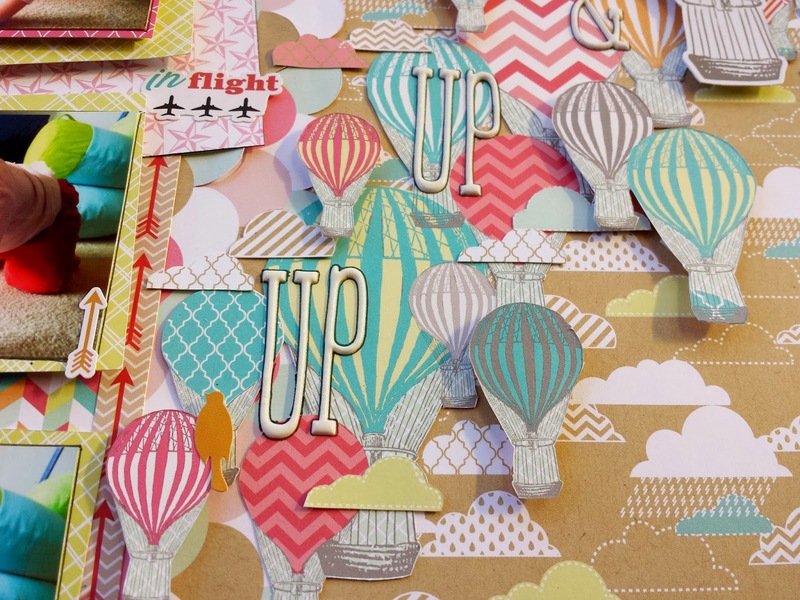 I also fussy cut some clouds from a strip of the background paper that I saved and layered them on the balloons to help blend them in a little bit. Eventually I got sick of fussing over it and starting just sticking. I have used dimension a lot on this page. The photos 'step' up in line with the photos again adding to the 'up' theme. Oh by the way. The design was based on a sketch in the PageMaps archive from April 2013, the middle bottom sketch, I rotated the sketch and took a few little liberties such as moving the title. Happy 8th Anniversary PageMaps.